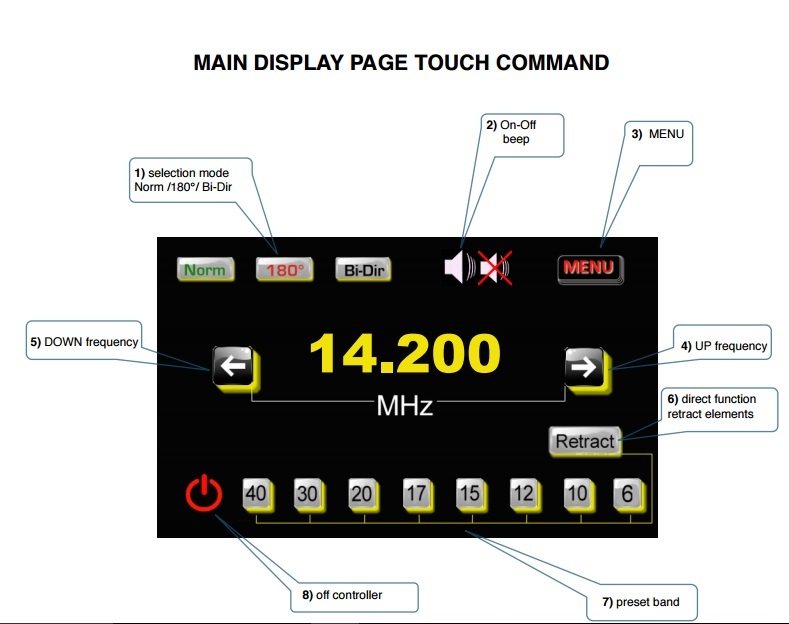 The main display provides all information about the antenna status and contains all the main touch useful commands to the antenna manual management and its functions. 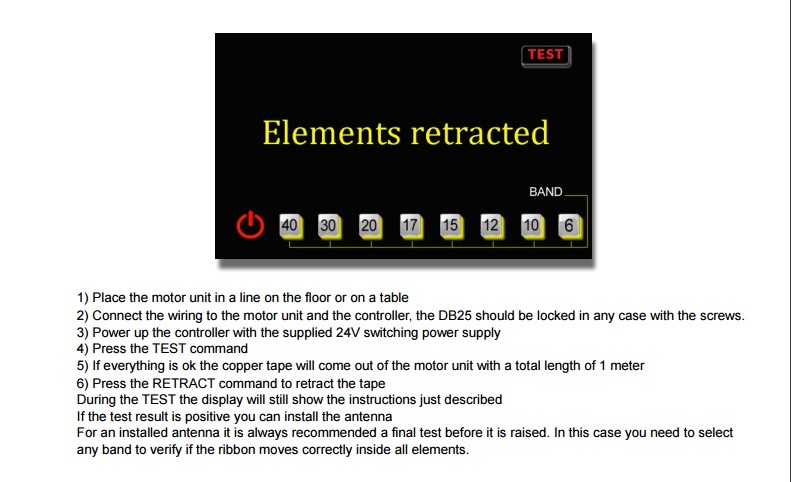 1) Three commands to select the electronic antenna pointing Normal – Reverse – Bi-Directional 2) Command to enable or disable the beep during the movement of the elements 3) Control to access the menu 4-5) Modify the operating frequency up or down in steps of 100-50-25 kHz depending on the band. 6) Allows the direct retract of the elements without accessing the menu. 7) Preset to move directly to the desired band 8) Turn off the controller, to turn it on, touch the screen Some commands will not be used if the controller is connected to the radio for frequency control.